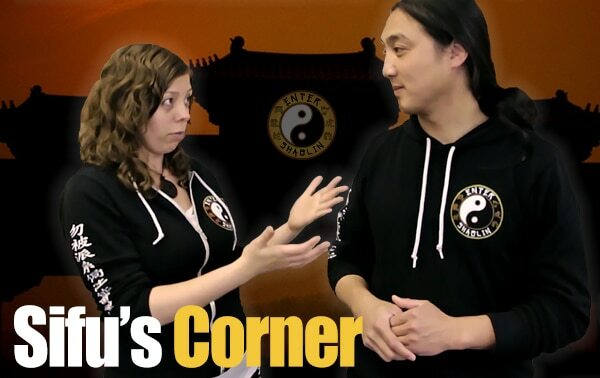 3 Pillars of Training | Can I Learn Kung Fu Without A Training Partner? 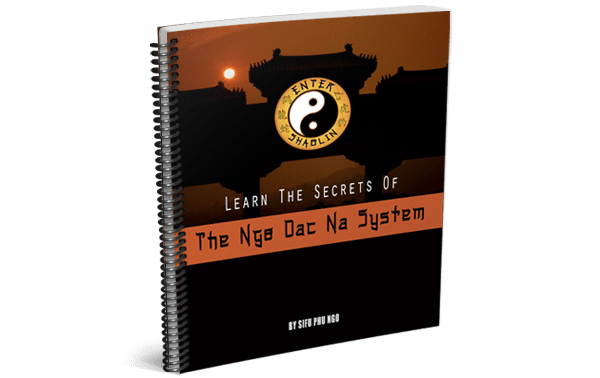 You are here: Home / Kung Fu Lessons Online / 3 Pillars of Training | Can I Learn Kung Fu Without A Training Partner? 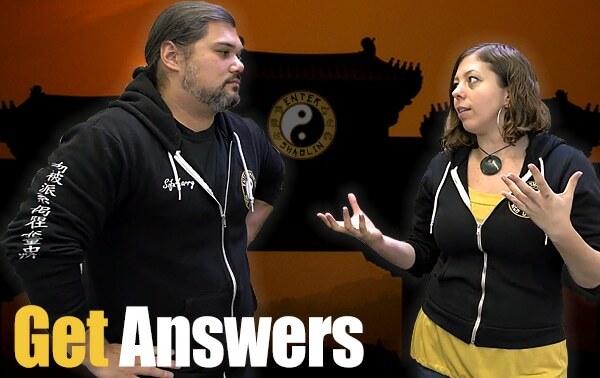 We hear it all the time… “Can I learn Kung Fu without a training partner?” or “You can’t learn Martial Arts without a training partner.”, etc. The Third Pillar: This is the pillar everyone gets caught up on and often stops them from starting their training. This is the sensitivity training, sparring and practicing partner drills. All of these require a training partner obviously. But notice how that is only one third of your training and there is a lot more training to do before you are even need or are ready for a partner. When you start being consistent in all the other training you are doing, people are going to start asking questions. Maybe because you are starting to look more toned and in shape, maybe because your demeanor and attitude has changed fro the better, maybe because you were got doing some Qigong or Tai Chi in the park or maybe you were out in your favorite Enter Shaolin gear and someone aks you if you train in martial arts… As you evolve, people will ask questions, as you make this a lifestyle change vs. a hobby like-minded people are just going to gravitate to you. Not to mention there are ways you can actively look for training partners or ask a loved one or friend to work with you, bonus they will also reap the same benefits as you! When your out and about and you see someone checking out your Tai Chi form or see someone wearing martial arts clothing or a shirt, don’t be afraid to start up the conversation. 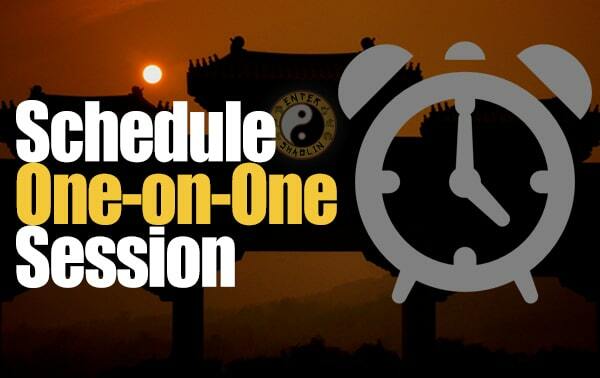 This is a perfect time to introduce yourself, let them know what you do, ask about their martial arts background, etc. If you feel like they might be a good fit to train with, tell them that you are looking for a training partner to train and learn with. The worst that will happen is they say no. But if you do your part, you are going to eventually find a good training partner or two! You will be amazed how well the laws of attraction work when you are consistent and take action. 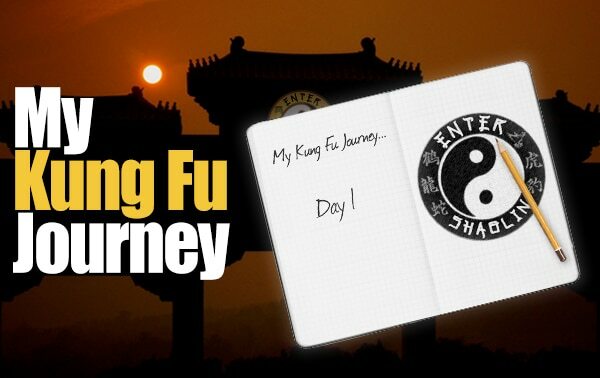 Maybe you are not a kung fu expert and you are just getting started that’s okay. 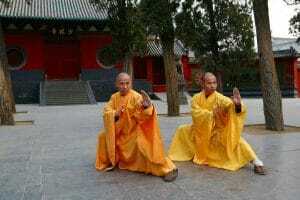 You can certainly teach someone the knowledge you yourself have acquired and you could pick one or two lessons from Enter Shaolin to work on together and even outsource the teaching. It really doesn’t have to be complicated. Do you think you can learn Kung Fu from a video like this? Here is a little taste of the types of solo training drills we teach you. 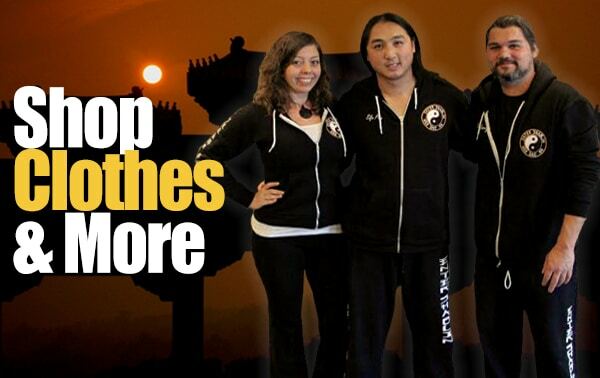 Sifu Phu is creative and has many ways for you to train solo with and without equipment! This video from our member’s area in the C.O.R.E. Training section C.O.R.E. stands for (Combat, Offense, Reflex and Energy) Training. But the real point of this post is, if you don’t have a training partner right now, that’s okay because learning these simple training drills will start giving you the tools you need to apply the techniques you learn. Not to mention you have 2/3 of your training to do solo and that’s not some small feat to get over. It’s sort of like layering.. Each layer and part of your training will bring you closer to being able to perform a technique in a real situation. The training drill you just learned is to help you develop better wrist control. Go ahead and grab a towel and give the training a try. Let us know if you liked it in the comments section below. run form and know application and practice with partner when you can. You’re welcome and we are glad you enjoy the training. That’s cool i sow my friend robert a wing chun sifu In burbank cali with that, but still from you sifu phu off the hook.im going out to pick up tows for the class sat.good info. Good stuff! Let us know how it works out for you in class. Thank you for sharing, I will definitely be trying this out. Amazing! It’s like combining what we need with what amuses us. I think that the best way to learn and teach is linking the concept of the lesson with something funny, so that can remain impressed better into our mind! Great! A simple exercise that you can do solo, with equipment you’ll find at home (or for me, when I’m travelling, in any hotel room), that teaches fundamental movements, and even provides feedback (if the towel doesn’t wrap, you aren’t doing it right). And yes, the question I keep asking myself is “Can I really study, without a regular training partner?” This video and the Three Pillars intro make a good argument for answering “yes”. This is great! Exactly the article I needed at this time.